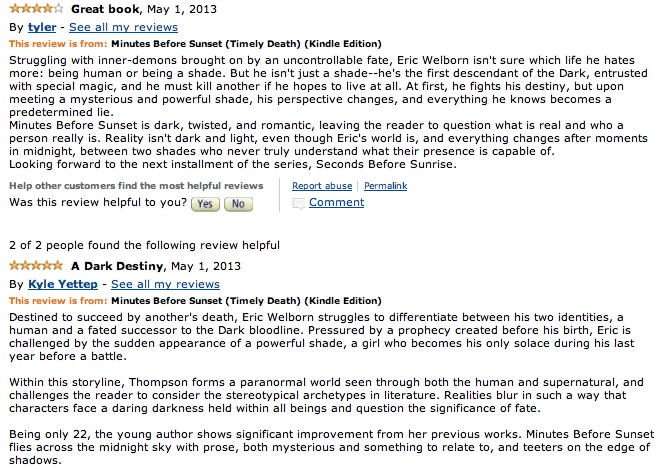 First Update: In order to celebrate Minutes Before Sunset winning Goodreads Book of the Month, ebooks are on sale. 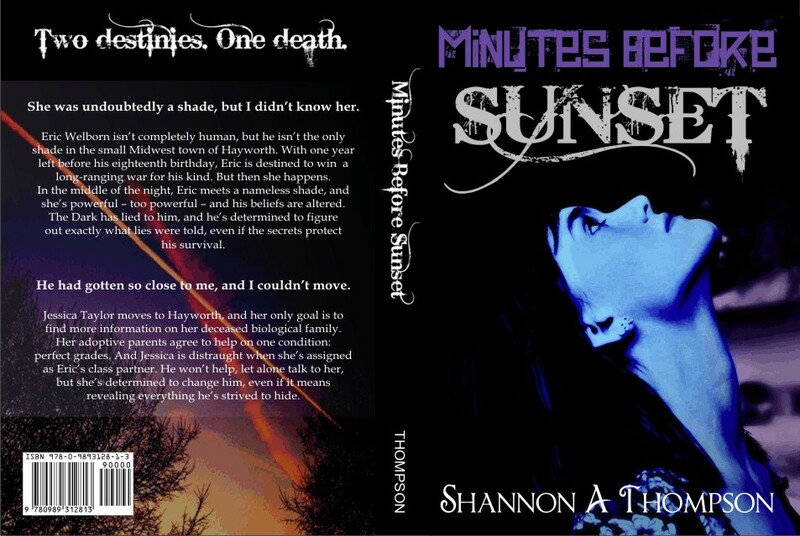 Starting July 4th, Minutes Before Sunset will only be $3.89. 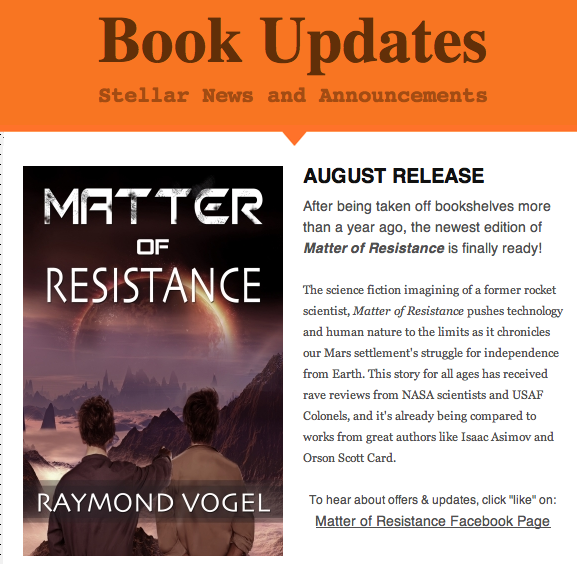 AEC Stellar Publishing is also giving away free ebook copies in exchange for a review. 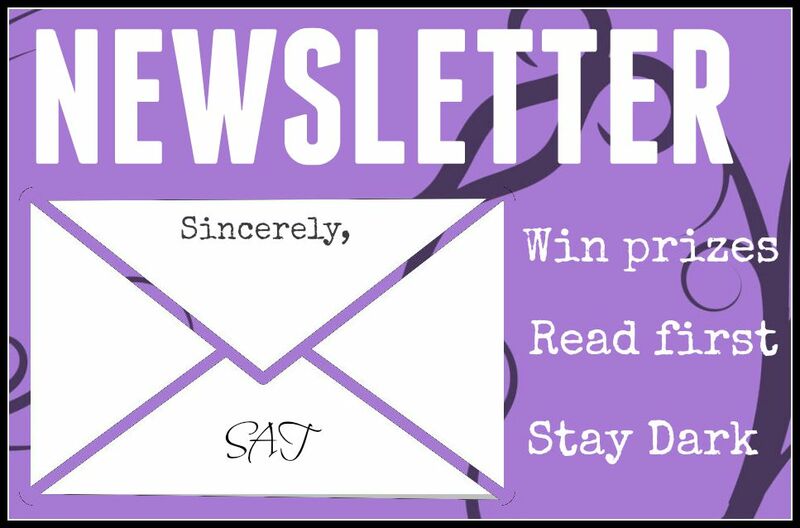 Simply comment below with an email address or email shannonathompson@aol.com. I know I promised more writing tips today, but I’m unable to do so today. I apologize, but I hope you understand. However, I will post one shortly. That is a promise. 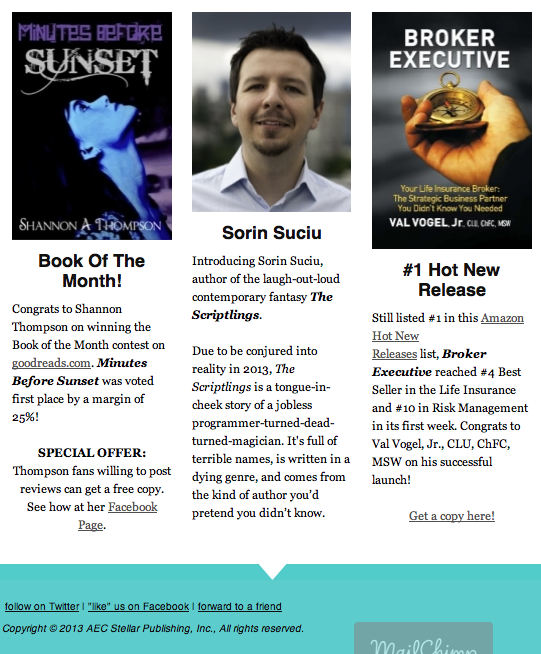 If you like these updates, you can sign up on the reader’s distribution list here. Other than that news, I was also interviewed by Ink Waters: Freelance Writing Agency, and I wanted to share it, because it’s short, but it’s also very informative. I was asked six questions, and they really defined what happens behind the scenes with writers. “Do you have a particular writing style or any odd writing habits? 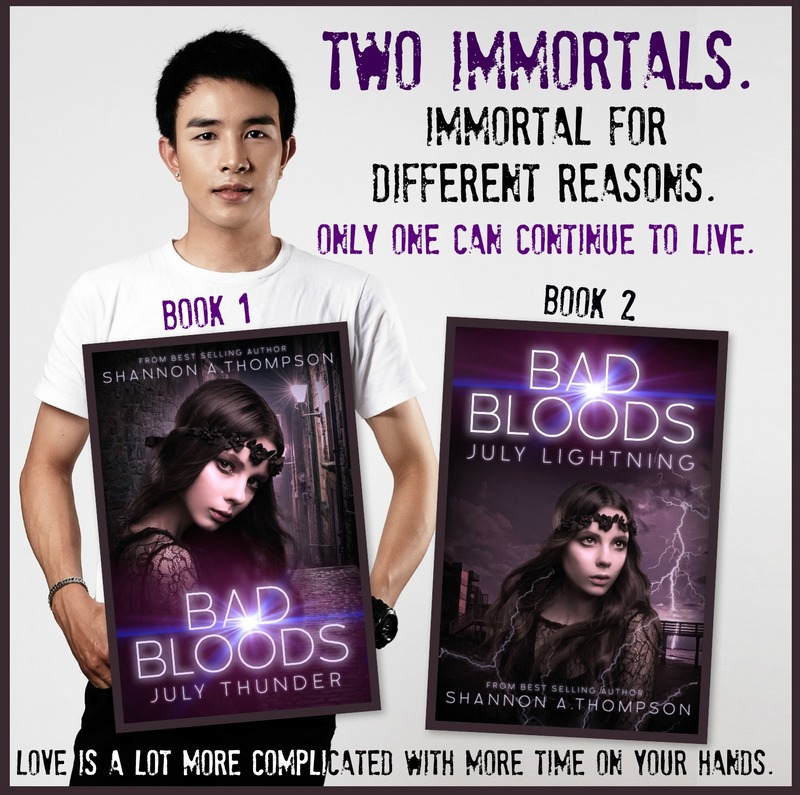 If you want to interview me, send an email to shannonathompson.com. I love talking about anything and everything, so don’t hesitate! If you’re in America, I hope you have a wonderful Independence Day tomorrow (but I hope everyone has a great day tomorrow!) And I will surely get on writing tips as soon as I can. 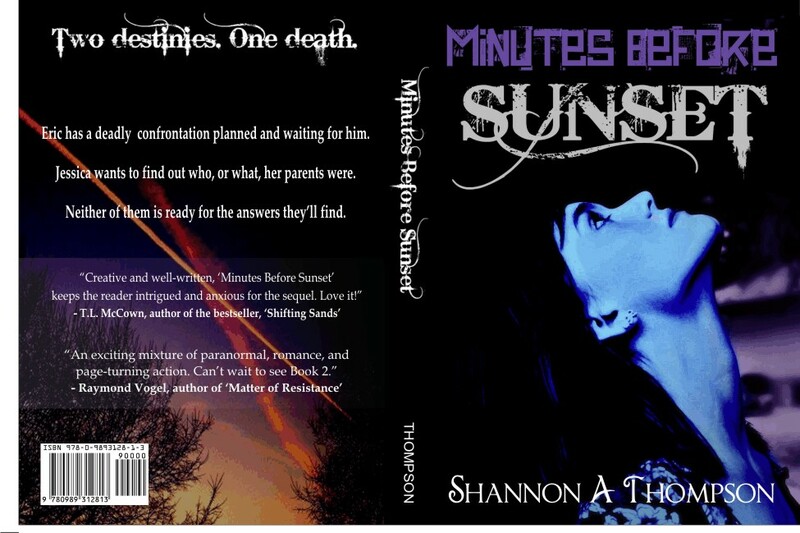 It’s been one week since my young-adult novel, Minutes Before Sunset released, and it’s been an absolute adventure so far! Reviews are already popping up, and I’m happy to say I have a 4.8 star rating on Goodreads and 4.2 star rating on Amazon. I also received a review from upcoming author, Amber Skye Forbes. Read it here. 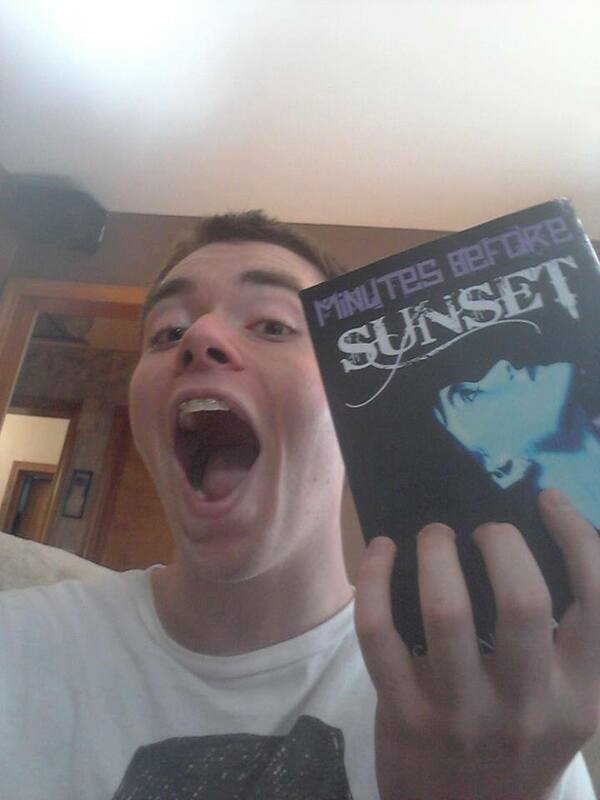 Back when I was self-publishing Minutes Before Sunset, I held a cover competition, because I love for my readers to be involved as much as possible with my pieces. In fact, the winning cover impressed my publisher so much, Autumn Fog Photography will be designing the cover for book 2 (releasing this Fall/Winter.) I’m excited, now that I have a publisher, and they’ve continued working with me, so I can keep giving back. So I have a new contest! The paperback is in the final process, and below, you will see two book jackets. The only difference between the two is the back. Comment about which one you like, and one reader will win a free paperback while five others will win a free e-book version! All I ask is to comment (vote) and clarify which one (or both) you’d like to be qualified for. 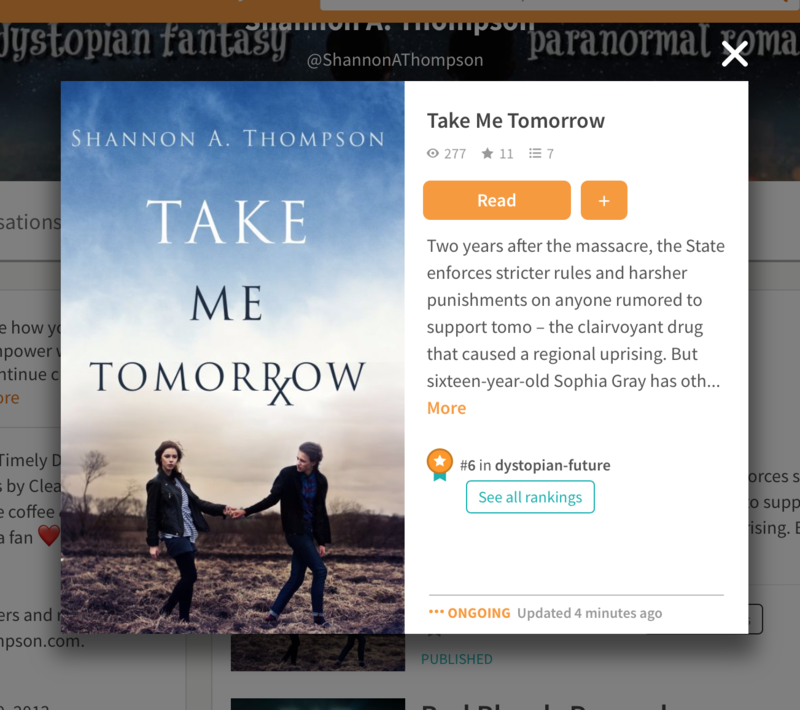 If you’ve already bought the e-book, you’re welcome to join the paperback competition, but please don’t join the e-book if you already have one. Thank you for understanding and helping my publisher decide which jacket is the best to use for you all! P.S. Looking forward to give back! And posting again this Friday about my poetry reading at the University of Kansas, today at 11 a.m. – 12:15 p.m.